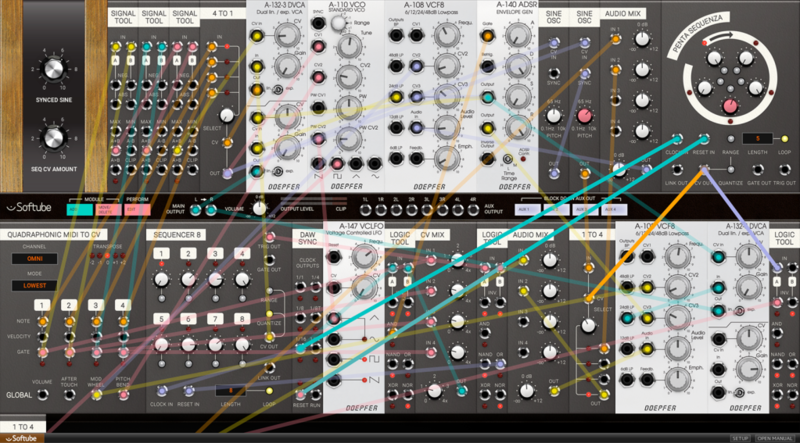 Softube Modular is a beautiful, complete emulation of modular tools on a computer screen. It’s demanding – you’ll want a recent computer with decent specs and updated software – but stable. The problem is, even though it’s a lot cheaper than buying “Eurocrack” hardware, I suspect the price turned some off. A hundred bucks is actually a great deal for a bunch of modules in software, but then some add-on modules cost nearly as much as just the base platform. 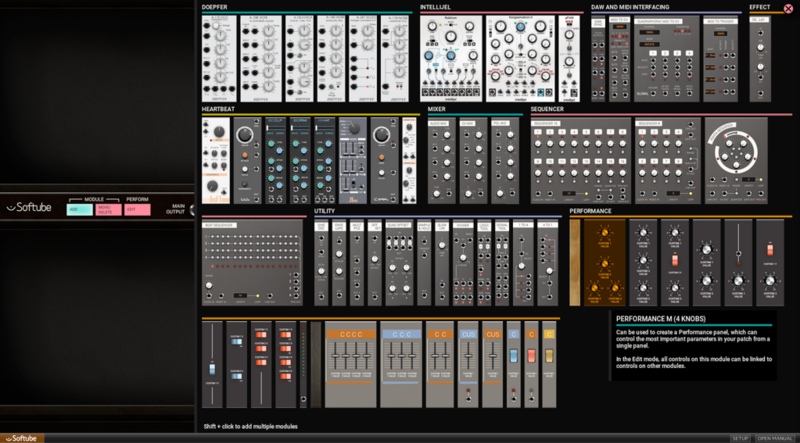 And a lot of users may already have something like Reaktor already installed, with its free user library, or the free VCV Rack and its free and inexpensive add-ons. But wait a minute – now all those prices are slashed for summer, presumably because normal people in the northern hemisphere are out, like, at the beach or something. And now it’s worth giving Modular a second look. US$89 is great; $45 is must-buy. And some of those lavish modules you might have thought were out of reach start to look tempting, too. So here’s why you might want to think about Modular, even with other offerings available. All those modules are available virtually, via a friendly selector. There’s full plug-in support. VST, VST3, Audio Unit, and AAX Native formats for Mac and Windows mean you can drop it in your existing DAW. You can set it up for live performance. There are a lot of interface details that make this, bar none, the easiest-to-use computer implementation of modular environment – and arguably far easier and more convenient than actual hardware. (Ducks) But one of the most important is the ability to design your own performance panels and consolidate lots of parameters into a few – essentially combining the performance friendliness of desktop synths with the patchability of modular. There’s integrated hardware control with NI and ROLI gear. Support for Native Instruments’ NKS format means you can dial up presets and parameter controls – with on-screen text labels – on both the Komplete Kontrol and Maschine. (Maschine might be ideal, actually, because it also includes handy scene and pattern support, making Softube viable live.) ROLI’s Seaboard RISE – the squishy futuristic keyboard – might seem bonkers when you just want to play a grand piano solo, but out-of-box support here with modulars totally makes sense, too. Softube have equipped some of their other tools to run inside Modular. Buy Softube’s EQ tools or their lovely Heartbeat drum synth, and you can use them in the Modular environment, too. Just make sure you have a computer rig that’s capable – see Softube’s note about why it’s CPU intensive, plus the minimum system requirements.